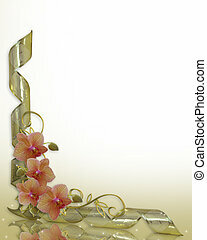 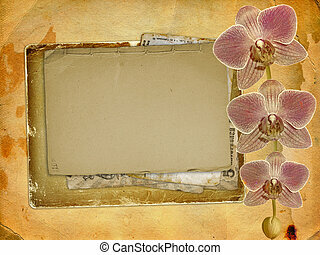 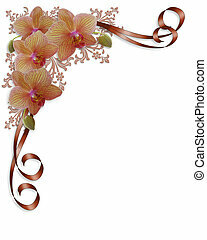 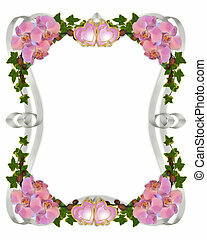 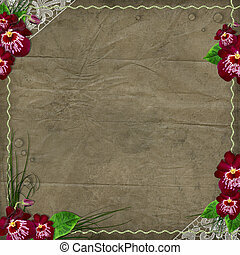 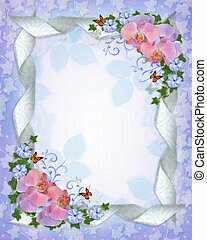 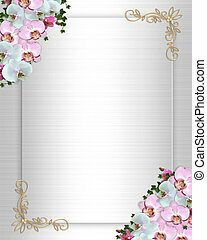 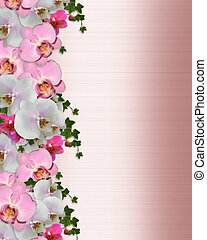 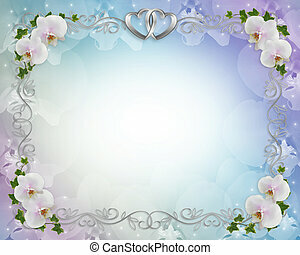 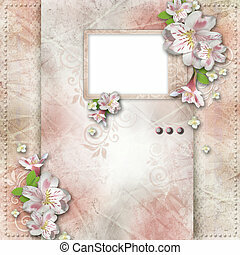 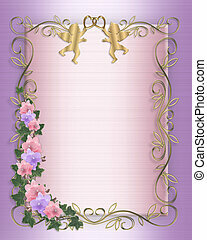 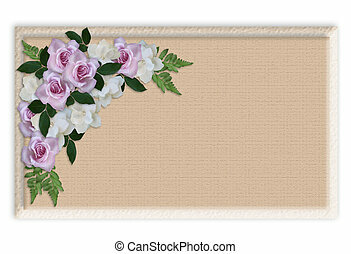 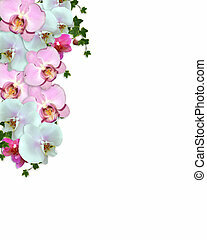 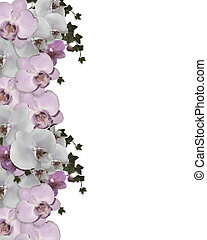 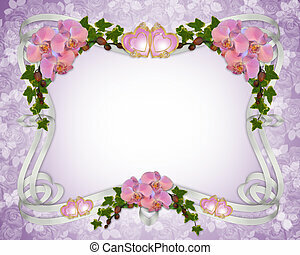 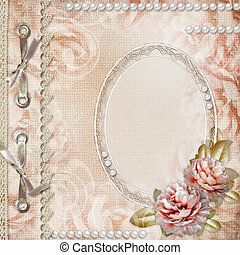 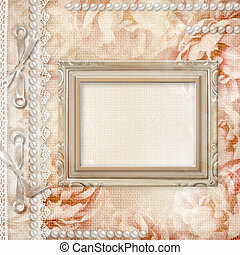 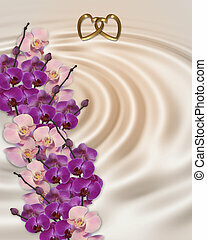 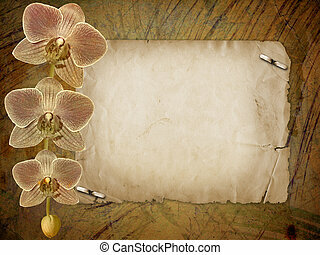 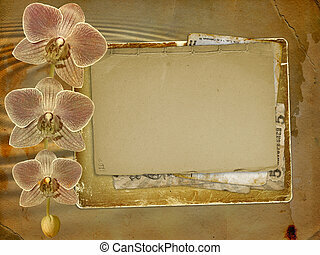 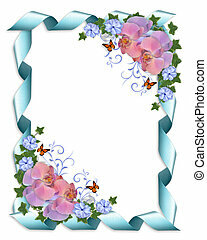 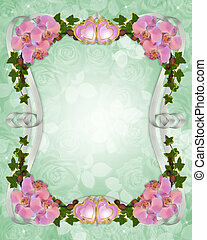 Orchids wedding invitation border. 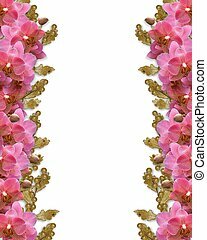 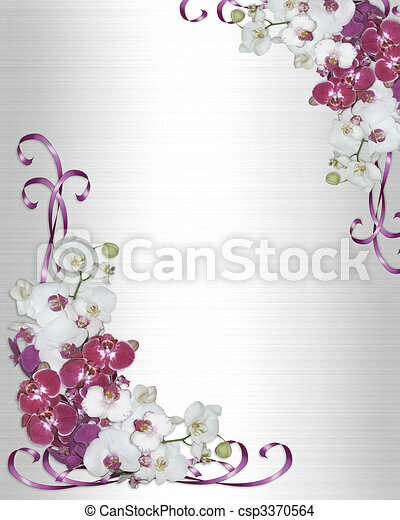 Image and illustration composition, pink orchids on white satin for wedding or party invitation background with copy space. 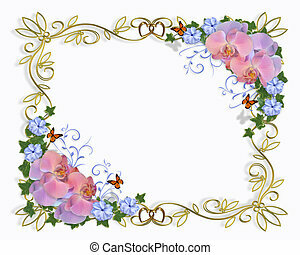 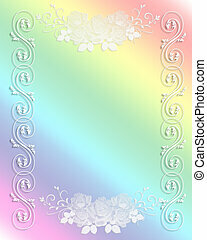 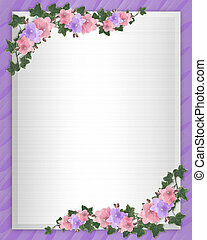 Illustration Lace flowers on rainbow background design element for Birthday, Valentine, wedding invitation border or frame with copy space. 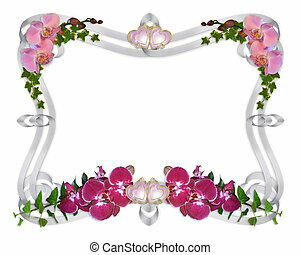 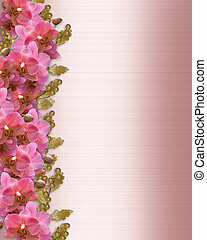 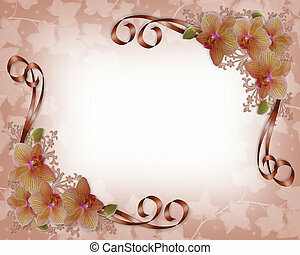 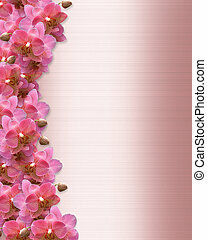 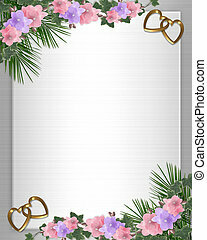 Image and illustration composition of Orchid flowers in full bloom background for wedding Easter, Mothers Day or party invitation border with copy space. 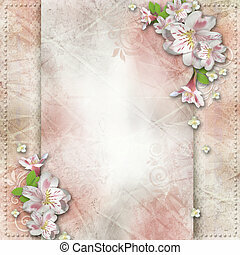 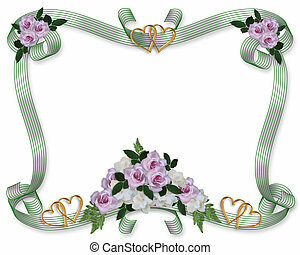 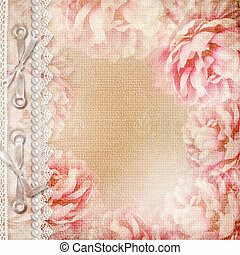 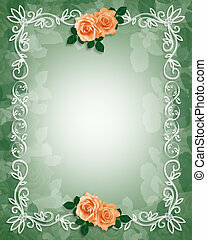 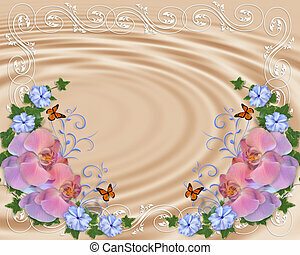 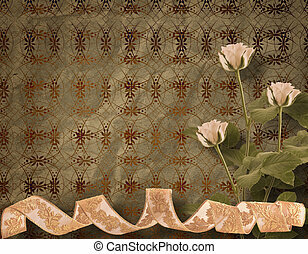 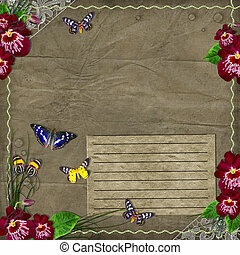 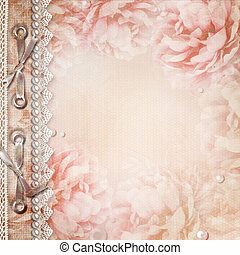 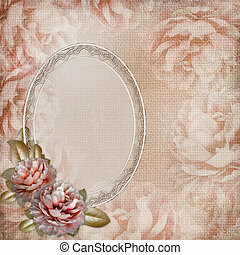 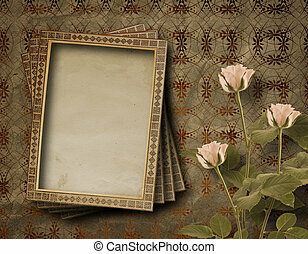 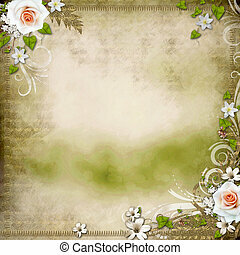 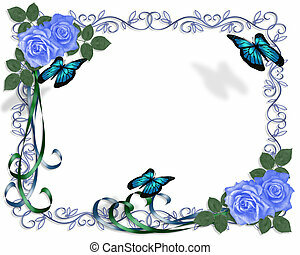 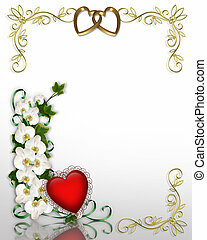 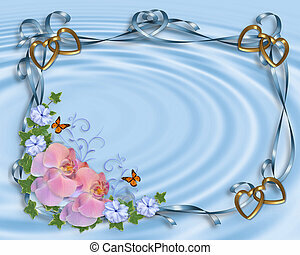 Illustration and image composition for background, border, Valentine, wedding invitation or template.